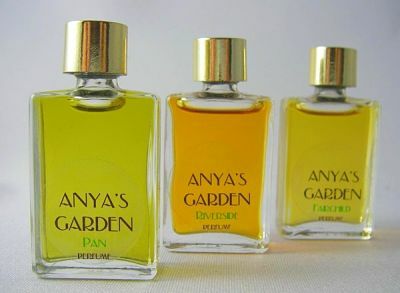 Anya's Garden Natural Perfumes - Anya McCoy is a pioneer of natural perfume, and community leader in the art. In 2013, she became the first artisan natural perfumer nominated to the American Society of Perfumers. She has mentored hundreds of perfumers, and continues to explore techniques and perfume making processes to assist in the elevation of the art. 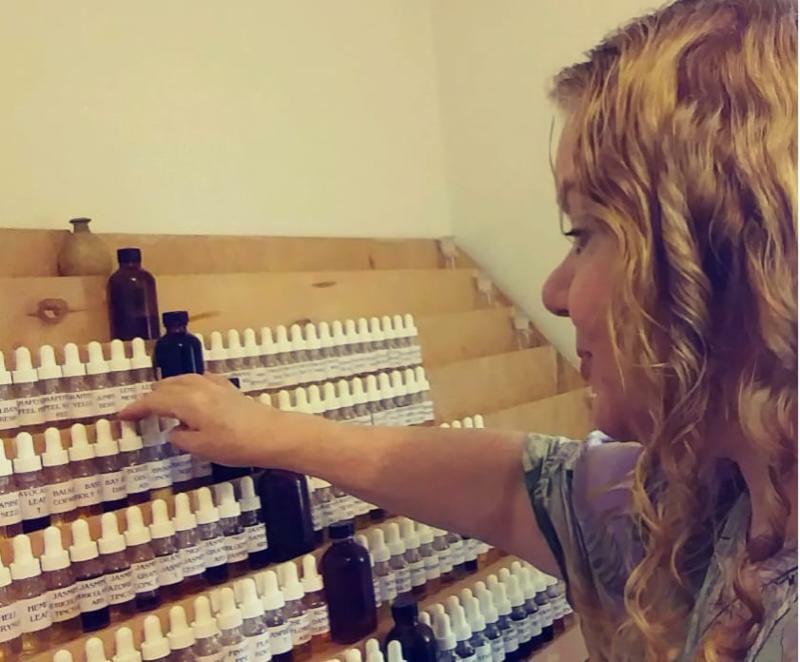 She is the President of the Natural Perfumers Guild, and wrote the first American textbook on perfumery, which is used in her courses at the Natural Perfumery Institute. My latest newsletter contains reviews of my new book Homemade Perfume, a book giveaway on a blog, and info on my professional perfumery course. You can purchase Homemade Perfume here, either a Kindle version or paperback. In Homemade Perfume, I instruct you on how to select oils, or extracts you have made from your garden, how to blend them, and how to make lovely fragrant products like liquid or solid perfumes, body powder, room and linen sprays, and much more. Included is a carefully curated list of suppliers for everything from bottles to alcohol, tools, essential oils and miscellaneous supplies. All in all, Homemade Perfume by Anya McCoy is a book that I feel should not only serve as a delicious conversation piece on my coffee table, for anyone visiting my place, but also as a personal reference for when the mood strikes to get down the shelf and try composing a Sensual Tincture Room and Linen Spray (recipe on page 121) or an Easy Pomade Semi-Solid Perfume (recipe on page 116). Anya has already conducted that crucial subject of such an opus as harvesting your own materials and making your own scents; safety precautions. Not only are her plant suggestions thoroughly researched (she clearly mentions that should you venture outside her propositions, you need to do your own research just to be sure), but her quantitative suggestions are carefully dosed to comply with FDA guidelines for skin use and for allergy precautions. Isabelle Gellé is a noted natural perfumer, and I was honored that she reviewed Homemade Perfume for the Cafleurebon blog. If you comment on the review, you will be entered in a worldwide drawing to win a signed copy of my book. Read the review here and comment, and good luck! 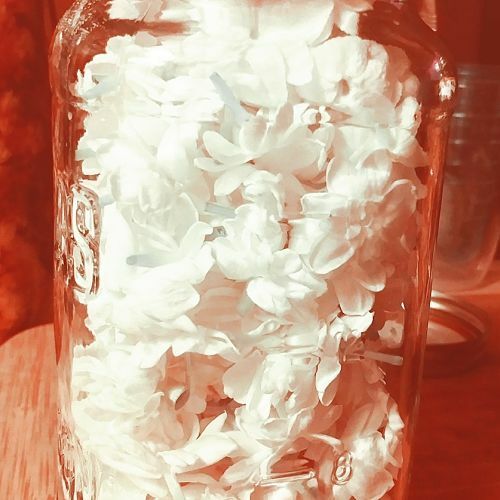 Homemade Perfume is an entry book for those who want to learn about perfumery, or a perfumer/homesteader/gardener who has fragrant plants growing and wants to learn how to extract their scent. However – Do you want to be a professional perfumer? Homemade Perfume, my new book, contains a lot of information but is for the hobbyist. For anyone who wants to have a career in perfumery, my online distance-learning course is comprehensive and will give you all the information you need to establish a business. The Basic Course comes with a 350-page textbook, the first ever written in the United States. I am a former adjunct professor in a graduate course at Florida Atlantic University, so I bring my decades of experience to this textbook. Something you can’t get anywhere else – Supplemental materials that include both Word.doc and Excel.xls forms to allow you to update your perfume-making notes so that they’re easily searchable, charts, and other helpful products. Visit the old site and get 10% off tuition on both the Individual Study and the Private Tutorial Basic Courses. 10% will be refunded after paid enrollment. Also, check if the PayPal credit option appeals to you if you’re a USA resident. Enroll now, and begin your next stage in life – as a perfumer! 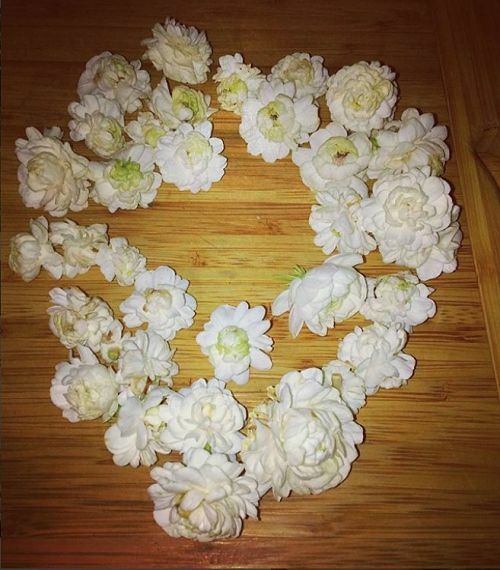 The Natural Perfumers Guild is always working to protect the rights of natural fragrance businesses! 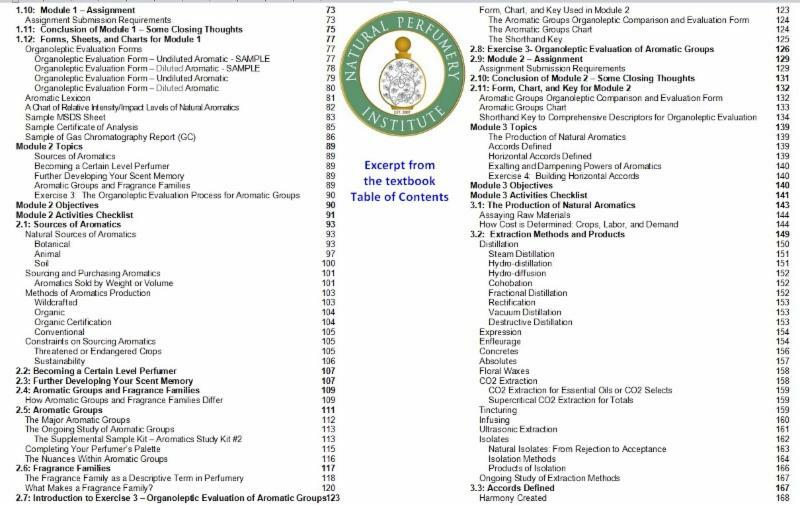 For over 10 years, the Natural Perfumers Guild has been a guiding force and self-regulated association dedicated to the use of natural aromatics. 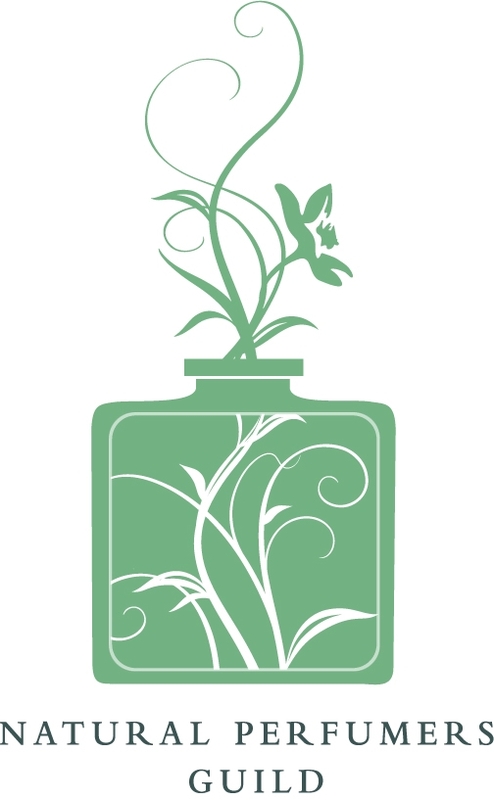 If you have a natural fragrance business, please join us as we continue to build our natural perfume community, define and defend the use of 100% natural aromatics, and educate the public on the beauty of them. Click here to read more, and purchase products from our members with the confidence of the naturalness of the ingredients. 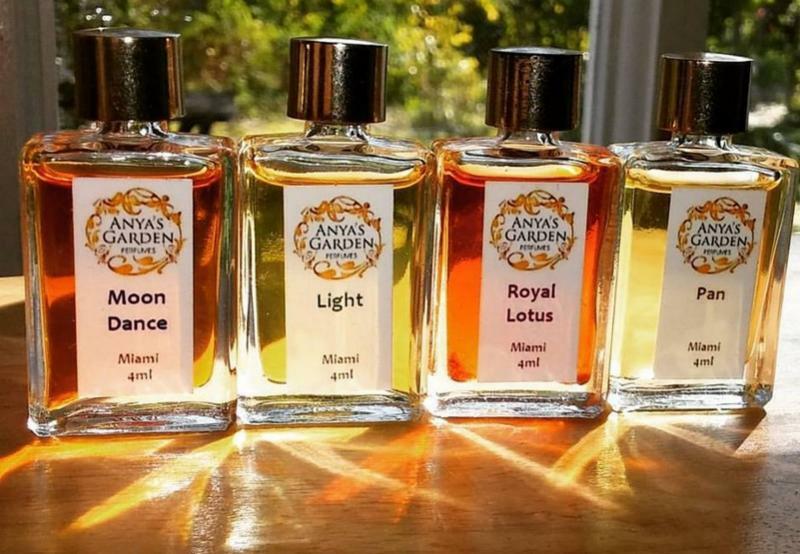 Follow Anya’s 100% Natural Perfume Businesses! This entry was posted in Anya's Garden Perfumes and tagged Anya's Garden Perfumes, homemade perfume book on August 26, 2018 by Anya. This has happened several times during the pre-sales time frame on Amazon – Homemade Perfume made it to #1 in Aromatherapy (and a few times in Nature Crafts, too)! Thank you for your support in pre-ordering my book, and I got word today that even though the release date isn’t until tomorrow, several buyers got emails from Amazon today that it’s shipped, and they’ll receive it tomorrow – how wonderful! 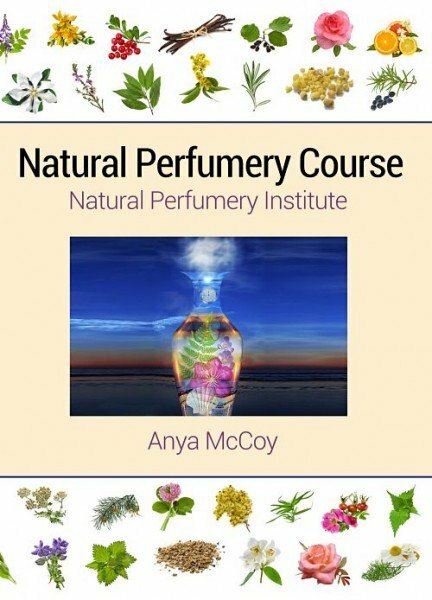 Here’s some information about the book, but I invite you to go to Amazon and “look inside” for much more detail on what information and educational offerings are in Homemade Perfume! 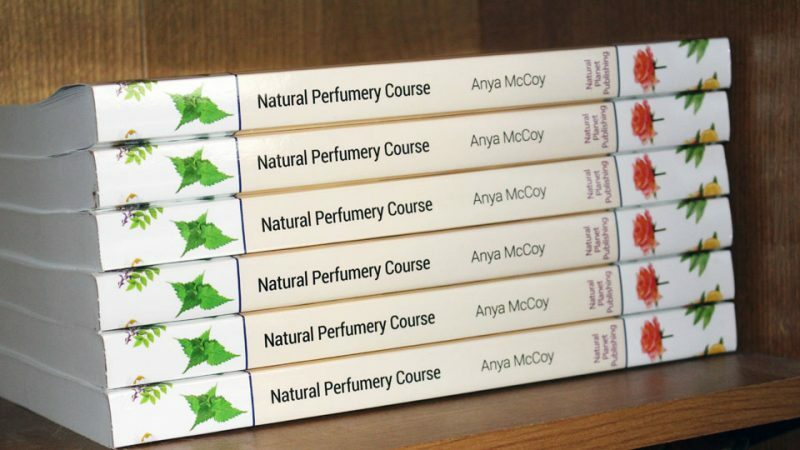 “This unprecedented, comprehensive guide from renowned perfumer Anya McCoy is an inspiring resource for anyone interested in creating artisanal perfume at home. 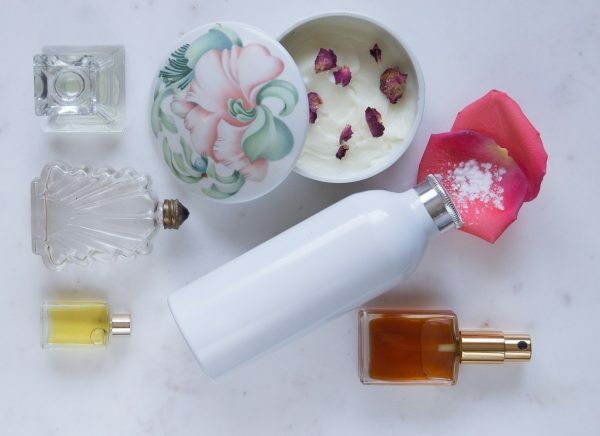 Discover simple step-by-step methods for making perfume without harsh chemicals. Jump right in, using local plants and common household ingredients. Soon you’ll be building your own scent collection and creating unforgettable gifts for friends and family. Buy your copy now and enjoy the fun projects that will help you make fragrant, natural gifts and products! 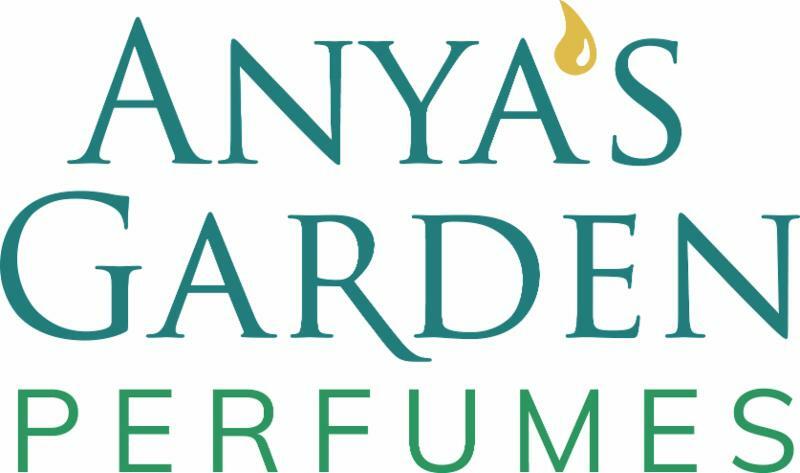 This entry was posted in Anya's Garden Perfumes on July 30, 2018 by Anya. Forty years ago, my husband got funding for his PhD under the USA Department of AID. In return, we were going to move to Dakar, Senegal for a few years to pay back the money for the education. I was studying plant science, ethnobotany, and anthropology at the time, and did a lot of research to prepare for the move. As an avid supporter of the Appropriate Technology movement, and an agriculturist with a keen interest in arid and semi-arid tropical plants, I was ready to work at some form of halting the southward spread of the Sahara Desert into Sub-Sahelian Africa. The US AID did not require us to go to Senegal for some reason, but my love of the region that developed due to all my research never stopped. 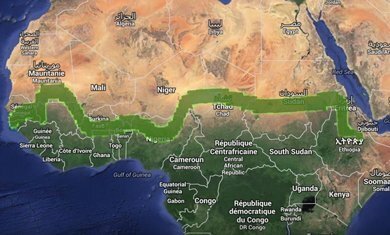 Some time ago I discovered the incredible project known as The Great Green Wall. Stretching from Senegal on the west coast, the effort was focused on planting a 10-mile wide band of drought-resistant trees to the east coast, ending in Somalia. I believe the primary plants are acacia trees and vegetables. Once the trees become established, their roots can pull up water from the low water table, making it more available for crops, and this is badly needed in this region. The trees will also help cool the air temperatures slightly, a bonus. The acacia being planted is Acacia senegalia senegal, a source of gum arabic, which has many uses in the food industry and other endeavors. As a perfumer, I’m wondering if the flowers have a lovely scent like Acacia farnesiana (cassie) or Acacia dealabata (mimosa). If so, the flowers could be harvested for extraction of the scent, adding another economic bonus. As climate change is engulfing the world, and raising fears of loss of arable farmland, floods, hurricanes, and more damage, it is heartwarming to see that an initiative started 14 years ago is providing wonderful results. I may never get to visit Senegal or the Sahelian region, but my heart has long been there, loving the culture, and the hardworking, tenacious people. Bravo to Senegal for investing so much in the project, and building the greatest horticultural feature on earth, in cooperation with the other nations. This entry was posted in Anya's Garden Perfumes and tagged Africa, Sahel, The Great Green Wall on January 10, 2018 by Anya. Perfumers need to be savvy about how to provide a safe product to their customers. Perfume bottles and lab equipment can arrive from the factory with contaminants such as dust, bits of odds and ends (like paper), pesticides (from warehouse spraying) and other assorted things that need to be removed before filling or shipping. If you’re into making perfume or perfume products, you should read this. Isn’t the New Year all about making good choices, and upping your game? Making sure you offer a sanitized (or more) product should be a goal for every perfumer. I’m a bit of an OCD germaphobe to begin with, so making my product containers either sanitary, disinfected, or sterile (depending upon the end use) is very important. I explain in detail how to achieve these three goals in my upcoming book Homemade Perfume due out in August 2018 from Page Street Publishing. Sanitary is a given, and easy: wash your equipment with hot soapy water, and air dry. That is necessary for everything. Disinfection can be achieved in a heat cycle in a dishwasher, or by using a bleach or alcohol rinse. 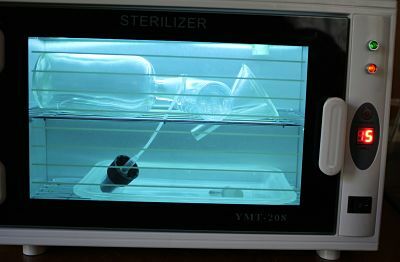 Sterilization is most important for any container that will hold a product that contains water, like a lotion or hydrosol. For this purpose I prefer a UV light unit. I rarely have a container so big I need to bleach solution. Pictured you’ll find my unit, loaded with bottles on the top, and accessory tools on the bottom. I recommend buying a unit for cosmetology or tattooing purposes, they’re inexpensive and easily portable around your studio – plus, no bleach smell! 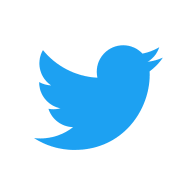 Caution: see the blue light? It can damage your eyes, so when the unit is on, I usually drape a cloth over it. This photo took about 3 seconds, and that’s all the exposure I allowed myself. UV sterilization unit for making perfume products safe. 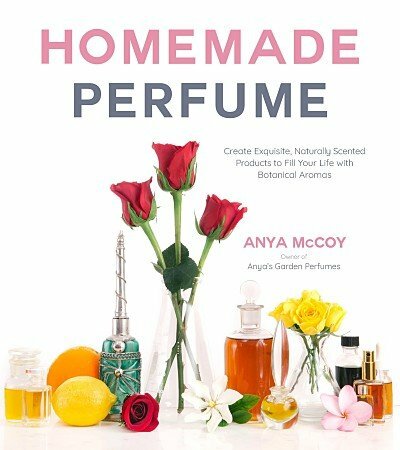 Homemade Perfume will be a gateway book for those who wish to learn basic techniques for making perfume. It is especially written for those who grow a number of fragrant plants, or who have access to them, so they can be perfume gardeners. The basics of tincturing and infusing for perfume, enfleurage, and distillation. You will learn how to make body-, room-, and linen sprays; face-, body-, and hair vinegars; body butters; solid perfumes; alcohol- and oil-based perfumes; and more with your fragrant extractions. 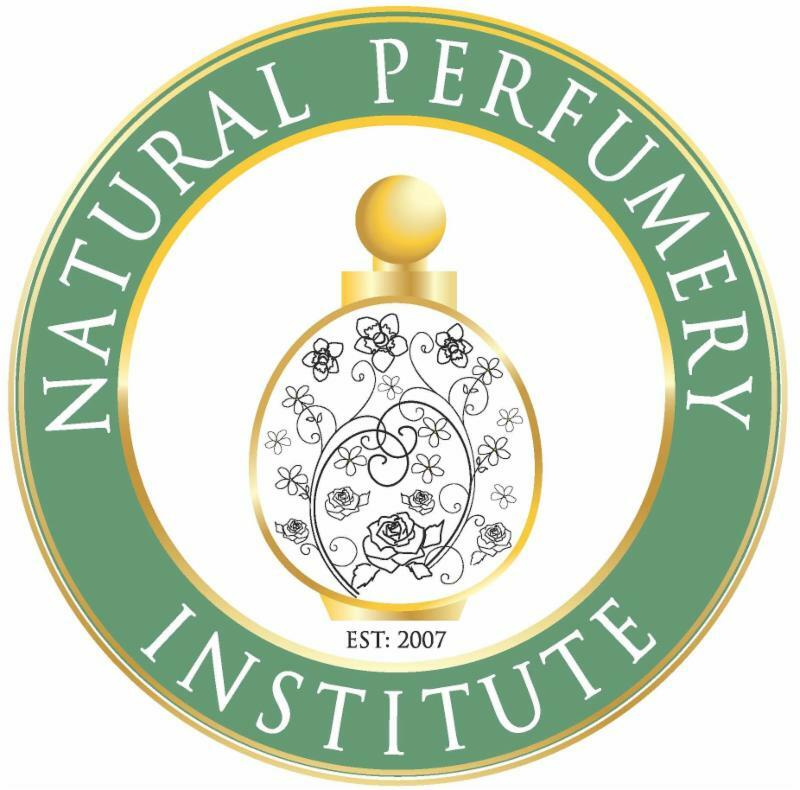 If you wish to study how to make perfume professionally, consider taking my course through the Natural Perfumery Institute. The textbook is a compilation of four decades of perfume research, experimentation, and production. This is a distance learning course, and can be successfully completed from any place in the world. Click here to learn more. This entry was posted in Anya's Garden Perfumes, Healthy perfume, How to Make Perfume, Hydrosols, study perfumery and tagged making perfume, UV sterilization on January 7, 2018 by Anya. The biggest sale of the year, and the chance to stock up on 100% natural perfumes for yourself, your friends and family. Use the code cyber40 at checkout for the 40% off discount! 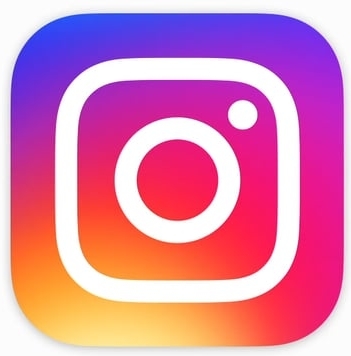 Sale items on this page only. Strange Magic – exotic and unique, made from organic flower tinctures. Other EdPs to choose from. 4ml parfum – easy to carry in your bag or pocket. Select from 12 award-winning perfumes. This entry was posted in Anya's Garden Perfumes and tagged cyber sale, natural perfumes on November 27, 2017 by Anya.